Shojin-ryori is name of the vegetarian cuisine that originated in Japanese Buddhist temples, but which has greatly influenced all aspects of Japanese traditional and high-class cuisine. Japanese traditional cuisine, including shojin-ryori, has recently been recognised by the United Nations as an Intangible Cultural World Heritage (only Japanese and French cuisine has received this recognition for their national cuisines). Shojin cuisine has also been the inspirational source of the international macrobiotic movement and French nouvelle cuisine. The essential aspects of shojin cuisine are paying close attention to the changing of the seasons and selecting ingredients that keep our bodies in harmony with nature. 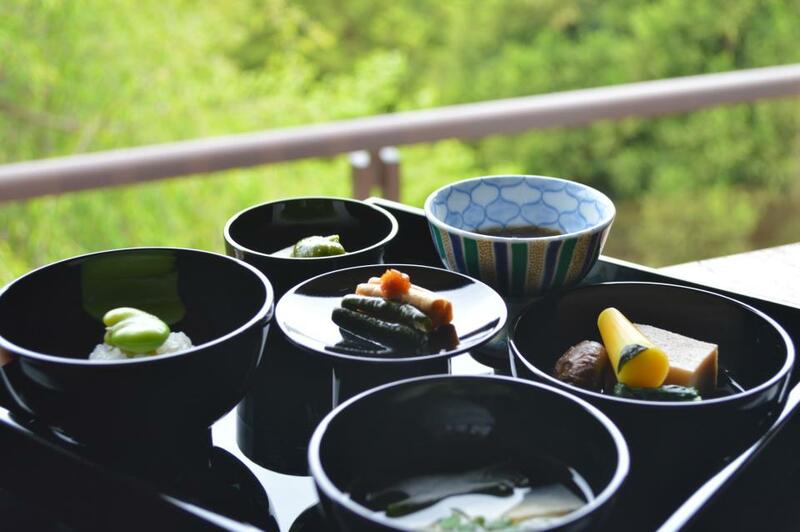 On a purely physical level, shojin cuisine draws out the freshest and most nutritious elements that nature has to offer in any particular season. The recipes are always simple, with minimal seasoning, in order to allow nature’s gifts to be presented in their most beautiful and most tasty forms. 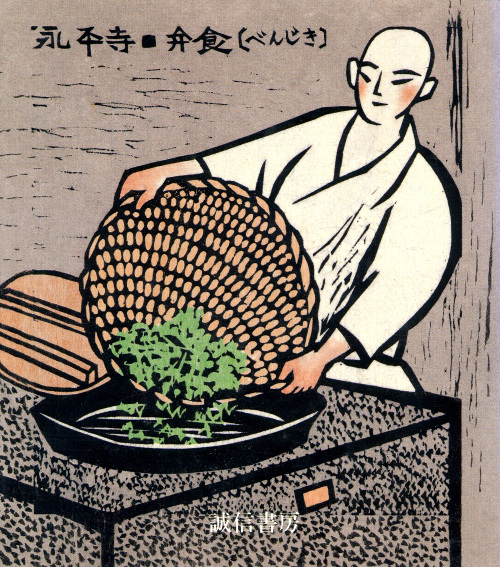 There is no meat or fish used in shojin-ryori, and dairy products and eggs are also avoided. Also excluded are plants that are considered pungent, such as garlic, chives and onions, because the smells and tastes of these foods overwhelm the delicacy of the other seasonal ingredients. Although it might seem that shojin-ryori is too limited or simple if it excludes all those tasty ingredients we are used to in the West, this is deceptive because shojin cuisine is actually exceedingly complex and takes many years to master. The basic elements of this cuisine are taken from Buddhism and centre on the number five: Five dishes, five tastes, five textures, five methods of cooking, five colours, five grains, etc. To create a shojin meal takes a great deal of planning and preparation in order to achieve a perfect balance between all those different elements. Above all, it must taste good! And it must appeal to all our senses at once: how it looks, how it smells, how it tastes, how if feels in our mouth, and yes, even how it sounds! A shojin meal is a veritable feast for all the senses in perfect harmony. However, shojin cuisine is far more than just a nutritious and delicious meal: shojin-ryori is a philosophy of life, a meditation on enlightenment, and the key to a healthy body, mind and soul. As part of traditional temple life, it is a focal point of daily practice, and the chef (called the tenzo) is a person of high spiritual merit who presents each meal as a lesson in the teachings of the Buddha. There may not be words that accompany the meal: the teaching is contained in the sights, smells, textures, tastes and a close attention to the culinary poetry of nature. The person who receives this meal is being offered not only a delicious meal, but cosmic teachings of enlightenment, designed to bring the receiver of the food into complete and perfect harmony with the natural world. Enjoying a shojin meal at a temple in Koyasan is a blissful experience!